“More than you’ll ever know” produced by Terry Poindexter, is a sultry love song declaring true love ‘Me Do Wu’, in the midst of common challenges couples face every day. The blend of English, Ghanian (Twi) and Nigerian (Yoruba) languages and D-Black’s hit rap verse gives the listener an emotional connection with the power of love and cross-cultural fusion. More than you’ll ever know” Remix Video featuring D-Black was directed by Antar Hanif of Team1kfilms Production Company with Nia Malika Dixon as the 1st AD. Associate Producers include Tayo Abereoje (Black Royal Pictures) and Cucillo Consad (Beyond Sight Pictures). The song has an original lyric video which features Choreography & Dance by Scott Rink & Zenas Tobi Okanlawon and is directed by Tayo Abereoje and evokes as much passion as the Remix video. https://www.youtube.com/watch?v=vHuBpeL2kPE https://open.spotify.com/album/3ICmeh6dk5F2PsXAPms227? © Copyright - Tolumide / Tolumide (700261866789) Soulful Afro-Pop Inspirational World Fusion Music with rap verse by D-Black. "More than you'll ever know" is a sultry love song. Music video showcases love & challenges couples face every day. 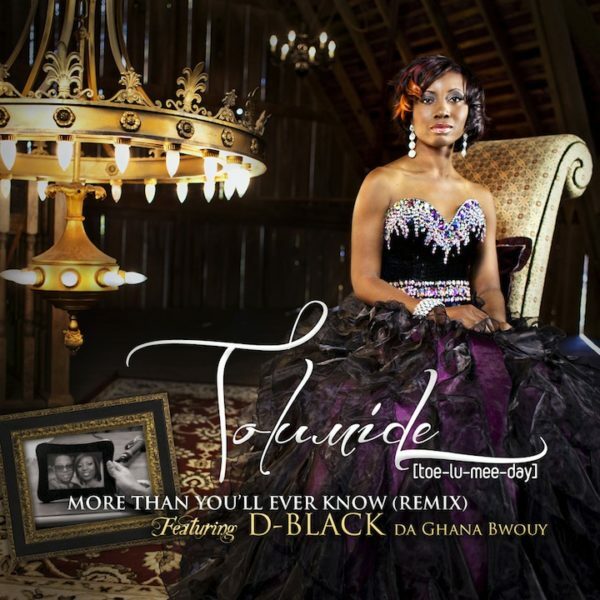 Lyrics include English, Ghanaian (Twi) and Nigerian (Yoruba) Genre: Urban/R&B: R&B Pop Crossover Release Date: 2012 Soulful Afro-Pop Inspirational Singer/Songwriter TolumiDE is at it again! She releases “More than you'll ever know” – Single and Official Remix Video from 'My Love' album featuring award winning Ghanian Hip Hop artist, D-Black - Da Ghana Bwouy, BET's Best International Act: Africa Award Nominee 2011. "More than you'll ever know" produced by Terry Poindexter, is a sultry love song declaring true love ‘Me Do Wu’, in the midst of common challenges couples face every day. The blend of English, Ghanian (Twi) and Nigerian (Yoruba) languages and D-Black’s hit rap verse gives the listener an emotional connection with the power of love and cross-cultural fusion. “Working with TolumiDE was very different as she showed a lot of professionalism... I have been a fan of her music before we met at the 2010 Channel O Awards in South Africa; I felt it was the right timing for this collaboration to happen. The message of the song is also true- Relationships don’t always go right and no one is perfect, however love is the key to having a successful relationship. That’s the story we told through this song and I loved every bit of making this song and the video...” – D-Black, Artist More than you'll ever know” Remix Video featuring D-Black was directed by Antar Hanif of Team1kfilms Production Company with Nia Malika Dixon as the 1st AD. Associate Producers include Tayo Abereoje (Black Royal Pictures) and Cucillo Consad (Beyond Sight Pictures). The song has an original lyric video which features Choreography & Dance by Scott Rink & Zenas Tobi Okanlawon and is directed by Tayo Abereoje and evokes as much passion as the Remix video. TolumiDE "More than you'll ever know" original and remix is available on iTunes, amazon & CDbaby - Single also available on 'My Love' Album. 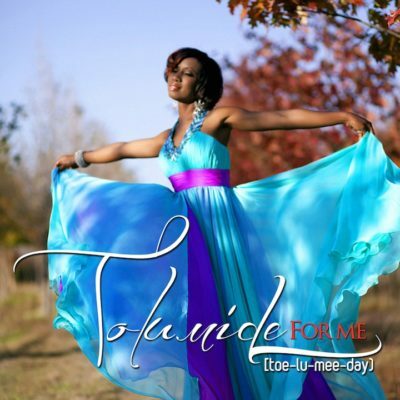 ABOUT TolumiDE TolumiDE is an award winning RnB/Soul Afro-Pop Inspirational Singer-Songwriter. Born in Canada, raised in Nigeria, resident in Washington DC, USA. Her Debut album, "My Love' is a sonic collage of music genres: RnB, Pop, Contemporary Gospel with sprinklings of Jazz, Reggae & Afro-beat Music. ‘My Love’, is currently available on iTunes, Amazon and CDbaby. The soulful vocalist offers songs in English lyrics, with the occasional interjection of African language showcasing inflections of her African heritage. The recipient of the coveted Nigeria Entertainment Award for Best Female R&B Artist, has already been recognized in the motherland as one of the brightest music stars of the day. 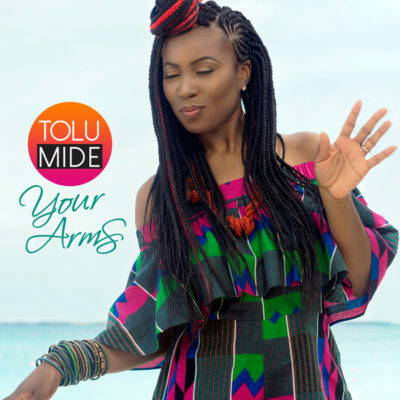 TolumiDE showcases her African flair and World Urban Soul musical stylings at a number of concerts, festivals, churches and other prestigious venues. 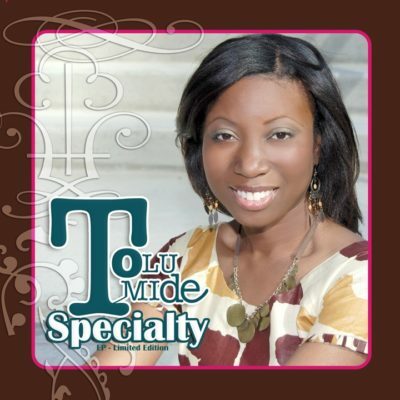 In addition to being a sought-after vocalist, TolumiDE also sings with Toby Foyeh and Orchestra Africa; Tosin Aribisala and AfriKan Rhapsody. Other acts she has opened for include Salif Keita, Burning Spear, 2face Idibia, P-Square and D'Banj. TolumiDE offers a range of dynamic and audience grabbing performances and has gained numerous fans from her releases and music videos. The album title video ‘My Love’ earned her a ‘Channel O’ Music Video Awards nomination in the Most Gifted R&B category. In recent news, her current single 'For Me' peaked on the Music Choice Urban AC (R&B/Soul) BDS Nielsen charts at #42 and #85 on the National airplay top 100 Digital Radio Tracker Charts for summer 2012. Last FM lists TolumiDE at one of their Top Artists for ‘African Soul’.